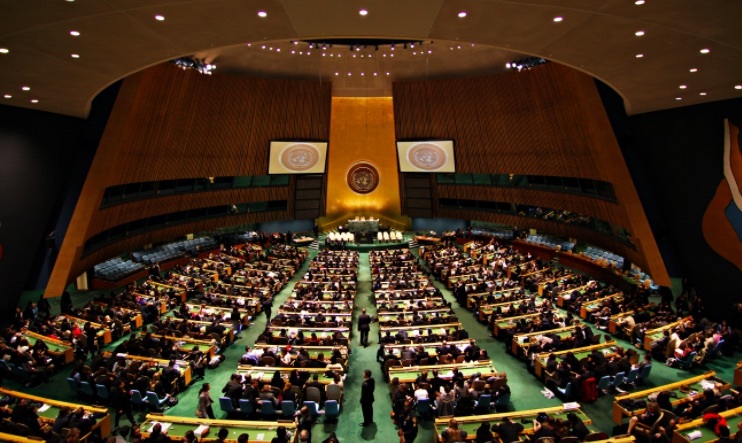 The United Nations General Assembly adopted without a vote its annual resolution on the culture of peace (A_72_L-30) at its session on December 12. Masud Bin Momen (Bangladesh), introducing the draft resolution “Follow-up to the Declaration and Programme of Action on a Culture of Peace” (document A/72/L.30), said that the current version of the text contained four new elements. It acknowledged the high-level event on Culture of Peace and its focus on early childhood development and recalled that General Assembly resolution 70/272 on the review of the United Nations peacebuilding architecture had introduced the notion of “sustaining peace”. In addition, “L.30” noted the establishment of the United Nations Office of Counter-Terrorism and recognized the role of the work of the United Nations Alliance of Civilizations in promoting a culture of people. The draft also reiterated the request to consider convening in September 2018 a high-level forum devoted to the implementation of the Programme of Action. Editor’s note: Here are three of the opening paragraphs and all of the action paragraphs of the English version of the resolution, which was co-sponsored by more than 60 countries. The full texts in English, French and Spanish are available online at the UN Digital Library. Recognizing the importance of the Declaration and Programme of Action on a Culture of Peace, adopted by the General Assembly on 13 September 1999, which serve as the universal mandate for the international community, particularly the United Nations system, for the promotion of a culture of peace and non-violence that benefits humanity, in particular future generations . . .
18. Decides to include in the provisional agenda of its seventy-third session the item entitled “Culture of Peace”. A peace train in Morocco teaches Youth to become advocates for peace and tolerance. The International Day of Peace is designated by the UN as a day devoted to strengthening the ideals of peace, both within and among all nations and peoples. Youth for Peace and Youth for human rights community comes together to celebrate this occasion in many ways every year. Celebrate the International Day of Peace (IDP) theme for 2018, The Right to Peace,Youth for Peace in Morocco orgnized a Peace Train with students and youth, to promote The Universal Declaration of Human Rights . they distribute what are Human Rights ? Booklet An illustrated guide for children that explains human rights, with each of the 30 articles of the Universal Declaration of Human Rights, written in easy-to-understand language . This Year, More than one thousand youth are participating in the Peace Train. The event took place in beatiful city called Saidia Situated as close to the Algerian border as possible in northern Morocco, Saidia is an idyllic town on the Mediterranean coast with one of the loveliest Mediterranean beaches in Morocco. Somewhat sleepy, this town comes alive in the summer months when Moroccans flock here for a beach holiday; but the town itself is in a unique position, as the Kasbah, located just behind the beach, is still occupied by locals to this day.